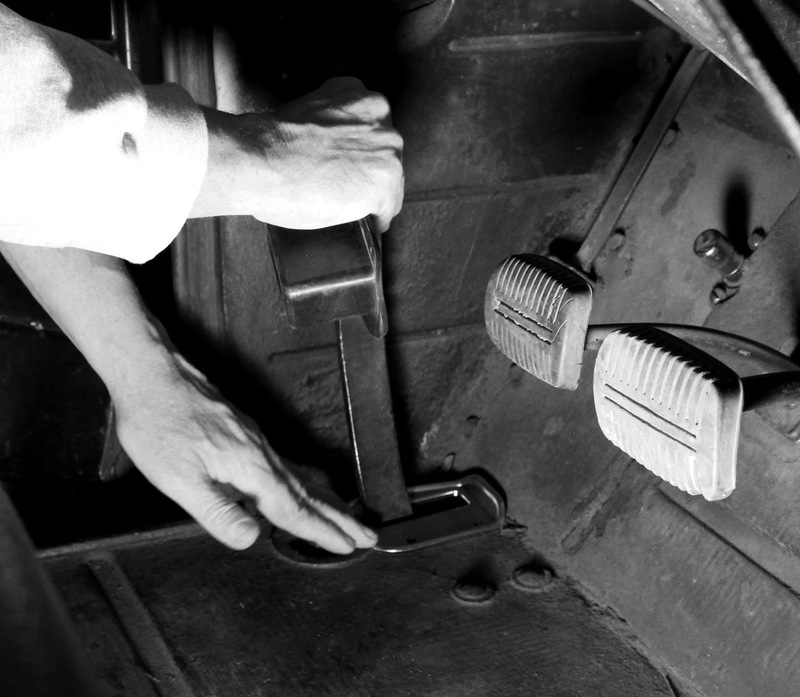 TD recently worked on the parking brake. When we bought Abbey, we thought the brake was frozen (typical, and not surprising) - also missing was the rubber pedal. On closer inspection under the truck, TD found that the parking brake cable itself was gunked up and just unhooked. Kardashian-Sized Update: PB Blaster solution has been newly voted much better than Liquid Wrench. Alert the Press. 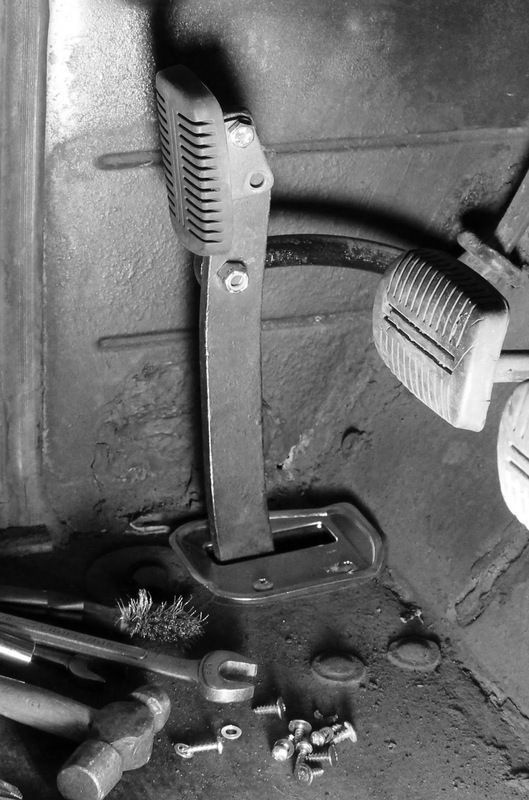 Once the cable had been fixed, the real fun began...assembling the new parking brake pedal. As mentioned, Abbey came without one so receiving THIS delivery was seriously awesome. This is an actual vintage parking brake pedal - not a reproduction. 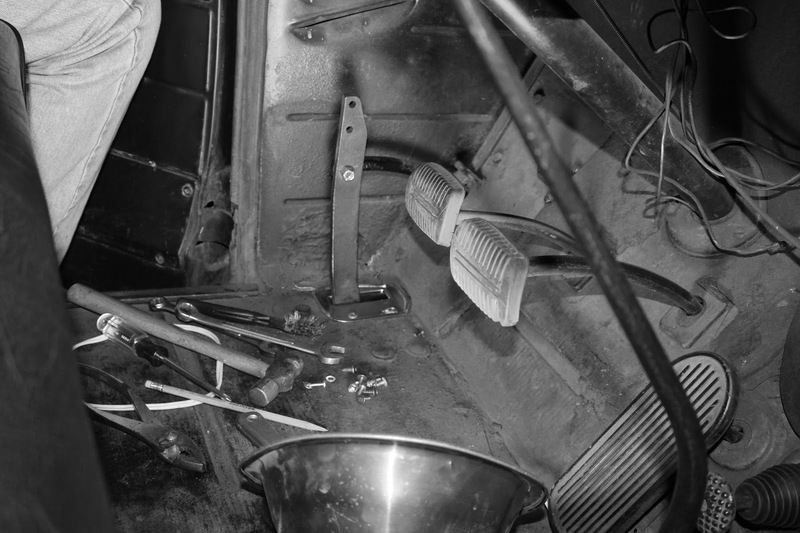 TD replaced the pedal, brake boot, boot retainer and gasket (all MIA from the vehicle). (2) They don't show how dirty the bed of the cab is under the floor mat. I highly suggest you take photos of your home in black and white if you haven't vacuumed. Rod Serling should have used a Black & White photo like this for a scary car episode. I cannot tell you how much fun it is to mash that little pedal down and release it with the lever. Oh and on the levers and knobs...those are all new too!